"From the publisher of the USA TODAY bestselling & #1 Amazon bestselling Timeless Romance Anthology series in Clean & Wholesome Romance, comes the Timeless Romance Singles line. Rowena’s childhood friend, Evan, has returned home from war a handsome, but mysterious stranger. In an effort to bring happiness to her father, not to mention uncover the Evan she remembers from their youth, Rowena seeks to unite their parents. Who better to match a lonely widow and widower together than their adoring children? Her matchmaking game could help their parents find happiness and draw out her childhood friend buried beneath Evan’s new reserve … or it could break more than one heart." 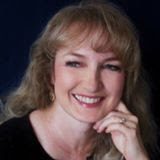 Donna Hatch, author of the best-selling “Rogue Hearts Series,” is a hopeless romantic and adventurer at heart, the force that drove her to write and publish seventeen historical romance titles, to date. She is a multi-award winner, a sought-after workshop presenter, and juggles multiple volunteer positions as well as her six children. Also a music lover, she sings and plays the harp, and she loves to ballroom dance. She and her family recently transplanted from her native Arizona to the Pacific Northwest where she and her husband of over twenty years are living proof that there really is a happily ever after. Wisdom, talent, health for myself and my family. I usually write at my desktop in my office. Sometimes, if it's especially cold, I like to snuggle under the covers with the electric blanket on and write on my laptop. 3. How long does it normally take you to write a novel? Each one is different--some take years, others take a few months. 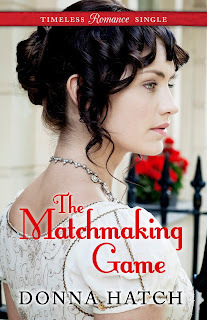 I wrote the Matchmaking Game in about six weeks, then revised/edited for another three or four weeks. 4. What are your inspirations? It depends on the story. Some ideas came after careful brainstorming. Others were inspired by a song, or a picture, or a secondary character from another book. 5. How did you come to write this particular book or series? I wanted to write a book about a harpist and also to explore the less glamorous side of Regency England. The idea of the heroine running away to join a symphony came to me in the shower when I was thinking about it. I never know when the Muse will send me an idea. 6. What was the hardest part of writing your book, and how did you overcome it? This was actually a pretty fun, easy story to write compared to how others I've written. Probably the hardest part was ensuring historical accuracy of the theatre where my characters played in the opera orchestra. Also, I found it difficult to learn much about musicians who played in orchestras during the Regency. I eventually turned to modern-day professional orchestra members to ask them many of my questions. 7. What is your writing drive? The power that keeps you going when your writing gets difficult? I feel a duty to my fans to keep producing a steady supply of books. It's also a smart marketing move, as well, but honestly, it's the fans and the responsibility I feel to them that keeps me going. 8. How did you come up with the title? Titles are a mysterious thing. I have no idea how they come to me. I usually think up several and then play around with them to see if anything seems to fit. In this case, this was the only title I could think of for this story. 9. Name one entity that you feel supported you outside of family member? I wouldn't call her an entity but my critique partner is amazing. She helps me know if I'm on the right track and encourages me when I'm uncertain if what I'm writing is working. She also points out ways to I could improve any given story.